April showers bring May flowers! But also, the two months collectively provide lots of opportunities across the northwest for travel and entertainment. Planning a trip to the northwest? This might help you find festivals or events that you simply don’t want to miss! Movin’ Around the World is a family-friendly event with music, dance, and hands-on activities representing world-wide cultures. The event is donation-based and held at the Seattle Center Armory April 6-12, 2019. Enjoy the Northwest Art and Fine Craft Show April 13-14, 2019, with some 90 artists in various categories from jewelry, clothing and painting to glass art and sculptures. Held at Hangar 30 in Magnuson Park, there will also be food trucks. This show is also held in November. The annual Cherry Blossom Festival is a fantastic way to celebrate Seattle’s friendship with Japan and its prized cherry trees gifted to the city in 1976. Come and find fun with Japanese art, dance, music, martial arts, and food at the Seattle Center from April 26-28, 2019. May 16-June 9, 2019 brings the 45th Annual Seattle International Film Festival—America’s largest film festival. Top directors will be there along with actors and critics. Of course you’ll need accommodations in the Seattle area, so be sure and spend some time choosing the perfect home away from home. April 1-16, 2019 is Spring Cycle Days in Yellowstone, where folks can enjoy the National Park before the roads open to motorized travel. Ride in the Park for free and spend a fabulous day (or longer) exploring by bike, on foot, or rollerblades (conditions allowing). 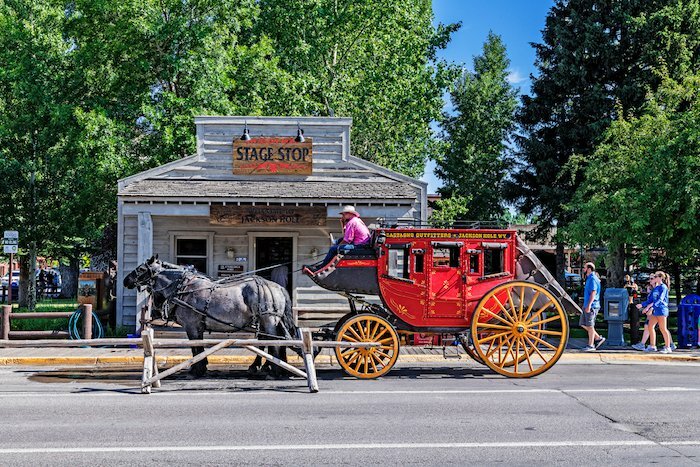 Jackson Hole offers a unique option for Memorial Day—Old West Days Celebration, held May 23-27, 2019. Visitors enjoy a parade, rodeo, Old West Brew Fest, Draft Horse Pull, Mountain Man Rendezvous, American Legion Memorial Services, Pipes for Peace, Single Action Shooting Match, and so much more! Check out area lodging for the best, most comfortable places to hang your hat. Good times are happening at the 13th Annual Leavenworth Ale Fest on April 13, 2019. Enjoy a great mix of breweries, cideries, music and all-around fun in Leavenworth’s beautiful alpine setting. New for 2019, the festival now serves as a benefit for local non-profit Icicle Creek Center for the Arts, helping to bring the arts to families and communities across North Central Washington. May 18, 2019 don’t miss the 2019 Red Bull Pump Track World Championship—a 2nd Annual Qualifier race. There will also be a kid’s race for the little ones. And, speaking of kids, find your family-friendly vacation rental early for the best selection. The World Ski & Snowboard Festival makes for five days of extreme fun April 10-14, 2019 in various locations around Whistler. This spring festival celebrates the Whistler mountain culture with winter sports, music, and the arts, including the world’s steepest ski and snowboard competition. With hundreds of annual festivals and events, it’s always easy to find fun in British Columbia. 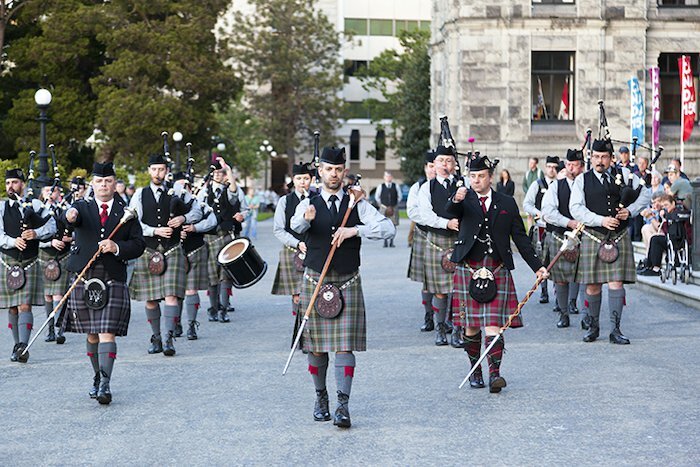 Victoria plays host to the 156th Victoria Highland Games & Celtic Festival on May 18-20, 2019 at Topaz Park. This year the event has expanded even more, celebrating Scottish and Celtic music, arts, and culture with a Tartan Parade through downtown, a pub crawl, and tons of performing arts activities. This event is sure to bring a weekend of fun so make your accommodation reservations quickly. Check out Victoria’s SwiftSure International Yacht Race from May 23-27, 2019, the largest yacht race on the West Coast of North America with more than 200 race boats and 1400 race crew members. Are you a foodie? This just might be your kind of festival—Beer & Cheese Festival on April 13, 2019 in Rockaway Beach, Oregon looks to be delicious! Join brewers and cheesemakers as they pair their goods for partakers. There will be food trucks serving locally-sourced foods or you can dine at the Pelican Taproom. Proceeds will go to Food Roots, which will be on-site selling local foods. Leave with a little souvenir also—a free tote and logo tasting glass. Less than an hour from Cannon Beach in Astoria, Oregon you can find the 37th Annual Astoria Warrenton Crab Seafood & Wine Festival with great coastal cuisine, arts and crafts, wine tasting, and more! The Astoria-Warrenton Area Chamber of Commerce hosts the festival held on April 26-28, 2019. Start the planning by searching for the best accommodations to call your home base. Join the fun for the 1st Annual Utah Latin Dance Festival. Enjoy the biggest salsa and bachata festival in Utah history on May 3-5, 2019 for an unforgettable weekend of fun. The event takes place at the Double Tree by Hilton in Park City (world-renowned destination and home of the SunDance Film Festival). Choose a nearby condo or hideaway for a true destination getaway, complete with all the comforts of home, which you’ll long remember. 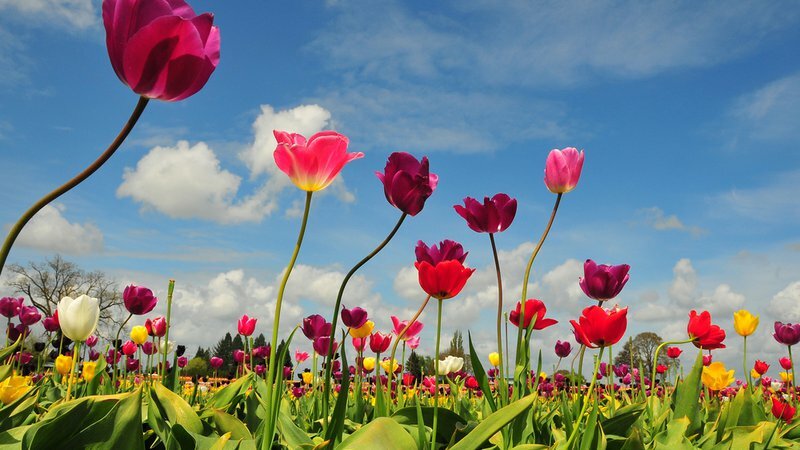 Highly-regarded and tons of fun, the Tulip Festival is the prized event of Mt. Hood and takes place March 23–April 29, 2019. This extensive festival is jam-packed with everything tulips as well as hayrides, a children’s play area, a Cow Train, food vendors, crafts, balloons and a huge variety of other activities. Be sure and visit the website for a schedule of events for this amazing event and book a lodging spot today! Orcas Island Lit Fest is designed to bring folks together who share the love of reading books with authors who love to write them. Less than a half an hour drive from San Juan Islands, guests can find Washingon vacation rentals at both places and be near the event which takes place April 5-7, 2019 at the Orcas Center. Come and participate in this annual celebration of literature. Tour De Lopez is April 27, 2019 and is a non-competitive bicycle tour of Lopez Island, beginning in San Juan Islands. Every year there are lots of return riders, which speaks to the fun of this beautiful getaway. This is by no means a complete listing, but a sampling from each area. There’s a lot of fun travel in the northwest, and we invite you to be a part of it all this spring!